from evisceration. Following picking, the carcasses are rinsed and then removed from the shackles by cutting the feet free at the hock joint. 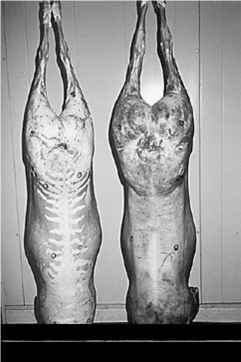 The carcasses are transferred to the evisceration area of the plant and rehung by the hock joint on the evisceration line.